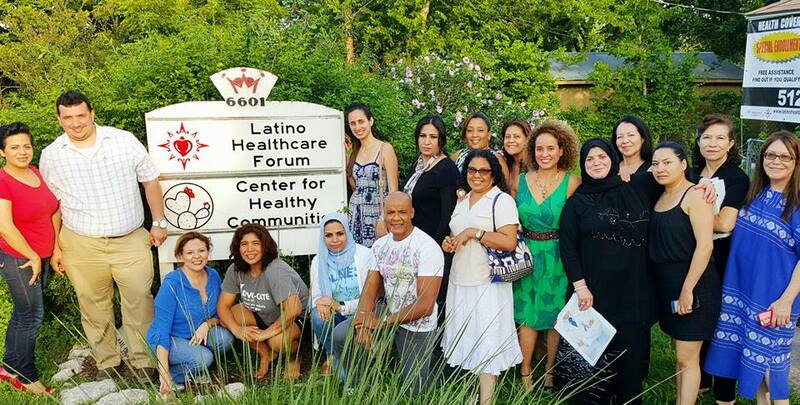 The LHCF's core competency is its PromoSalud program, which trains members of the community to become community health workers or “promotores de salud” through a 251-hour course certified by the Texas Department of State Health Services. Promotores are our answer to the nation's growing disparity between the racial and ethnic composition of the healthcare workforce and that of the U.S. population. Promotores are volunteer community members and paid frontline public health workers who are members of and/or have an unusually close understanding of a particular community, such as Hispanic/Latino communities. They generally share the ethnicity, language, socioeconomic status and life experiences of the community members they serve. These social attributes enable promotores to serve as liaisons between health and social services and the community to facilitate access to and enrollment in healthcare and wellness services. Additionally, promotores build individual and community capacity by increasing health knowledge and self-sufficiency through a range of activities such as outreach, community education, informal counseling, social support and advocacy.